The Dallas Cowboys deserve a lot of credit for their 6-5 record through 12 weeks, salvaging playoff hopes out of a 3-5 team that was under performing and fading fast. 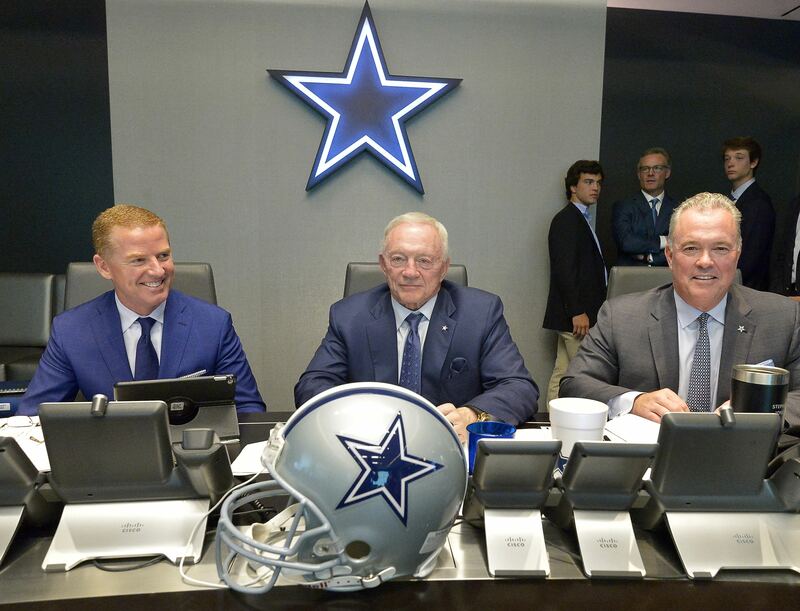 Specifically, the often-criticized Cowboys front office was at the forefront of the team's turnaround. Admitting to offseason mistakes that still have every opportunity to keep the Cowboys out of the playoffs, thanks to the Redskins and Eagles remaining within a game in the division, the Cowboys look competent on offense now. Credit the addition of Amari Cooper and coaching change in the offensive line room, as the team fired Paul Alexander. Marc Colombo has returned the Cowboys to their winning ways up front, while Cooper has given the team a fighting chance in the passing game. 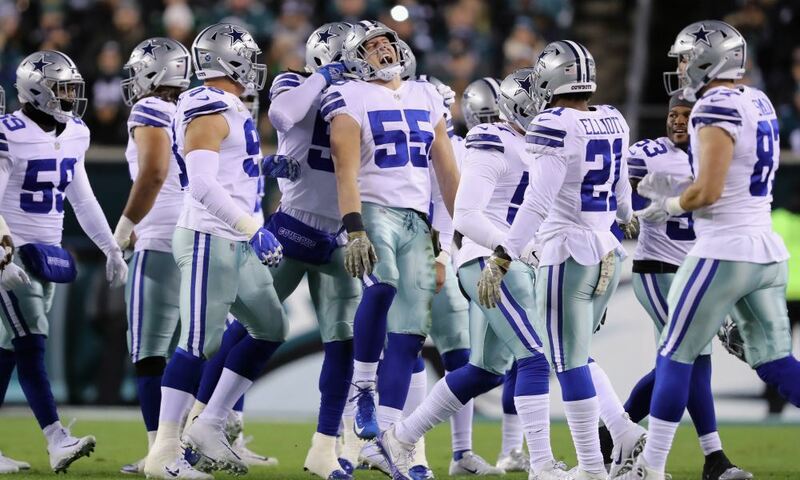 Playing offense without a threat like Cooper on the outside was a death sentence for a young Cowboys unit that was losing confidence by the week. With Cooper in the fold, the Cowboys can fairly evaluate Quarterback Dak Prescott, who has not turned the ball over in any of his team's last three wins. This front office has talked plenty about extending Prescott's contract, making a sustained level of play with Cooper an absolute must. Everybody knows the 10-1 Saints are in town this week, rolling into AT&T Stadium as winners of ten straight. As the Cowboys prepare for their steepest challenge of the season, facing the reality of being stuck at .500 again with a loss, the organization should come to terms with Thursday's kickoff being a reality check. Before you instantly dismiss this premise and call me a hater for "writing off" the Cowboys, I'll say now that I firmly believe Dallas will be in this football game with a chance to win late. With an owner/GM that's compared his team to the 10-1 Rams, outscoring the Cowboys by just over 14 more points a game while running away with the NFC West thanks to an ultra-aggressive offseason, Jerry Jones has a lot at stake this week. The Rams only loss this season came to this week's opponent, as the Saints defended their home field with a 45-35 shootout win. Games like these around the league have done little to inspire hope in Cowboys Nation that this team can truly contend in the playoffs. At times, the Rams and Saints (two teams intertwined in the Cowboys season for better or worse) have appeared to be playing a different sport entirely compared to the Cowboys. Where the Cowboys merely talk about being as dynamic an organization, teams like the Saints back it up. As Dak Prescott is still a quarterback that relies on near-perfect surroundings, Drew Brees is a Hall of Fame lock. For as important as former fourth overall pick Ezekiel Elliott is, the Saints are content with third round pick Alvin Kamara. The Saints top wide receiver, Michael Thomas, has been playing at a high level since 2016 as a second round draft pick. The Cowboys have shown a lot of fight for their Head Coach Jason Garrett recently, elevating their level of play to make up for a less-than-dynamic scheme on offense. Across from Garrett on Thursday will be Sean Payton, near the forefront of offensive innovation as his Saints have dismantled teams on that side of the ball. New Orleans has outscored their last three opponents by a combined 92 points, defeating the Eagles, Falcons, and Bengals handily. The Cowboys have almost no business hanging around with the Saints, but with the expectation being they'll find a way thanks to a defense that's pushed all the right buttons, their front office once again deserves credit. Drafting Leighton Vander Esch, moving Byron Jones to cornerback, and hiring Kris Richard all seem like home run moves the Cowboys have made to field a top defense for the first time in years. Lining up against the top scoring offense in the NFL this week will be a reality check. No matter the outcome, the Cowboys will have four meaningful games remaining for 2018. 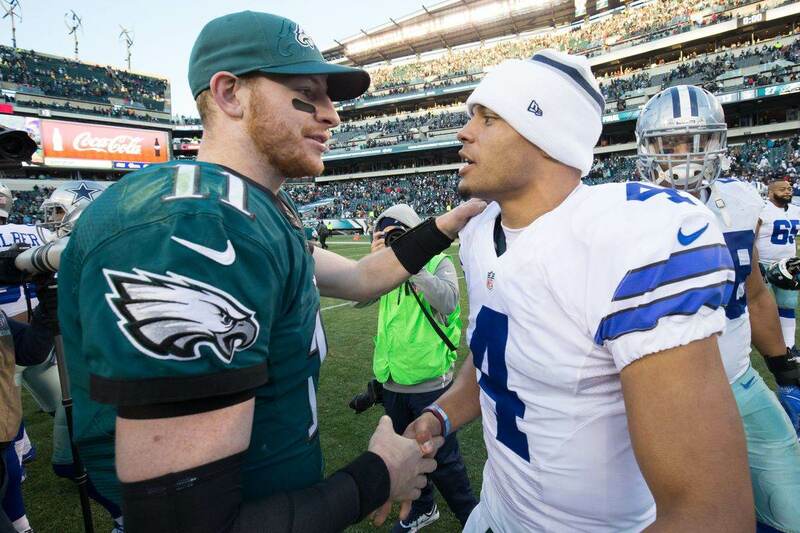 By all means they should be excited about the prospects of winning the NFC East after such a slow start, but I can't help but ponder the team's standards to do much more than that anytime soon. Remaining in contention at either 6-6 off a loss to the Saints or 7-5 with a four game win streak is a fantastic way for the Cowboys to stick with what has worked this season -- perhaps only out of desperation. Though they don't have to play like a desperate team on Thursday, Jerry Jones wants his players to think each play is the "Super Bowl" this week. In an interview on 105.3 The Fan in Dallas, Jones mentioned this game as one that can "change your attitude". 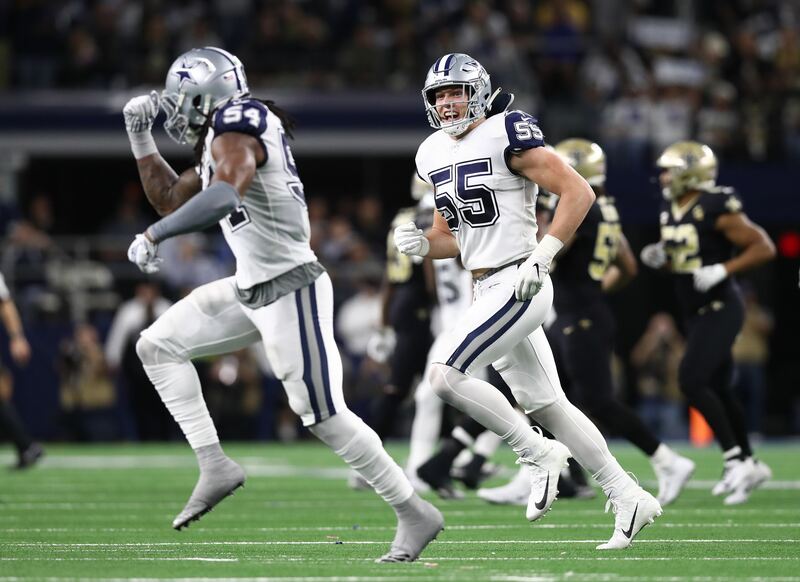 An attitude adjustment that makes the Cowboys a true Super Bowl contender is hard to fathom even with a decisive win against the Saints, and is only something that could peek through the silver and blue tinted windows at The Star. For sure, more national pundits will be singing the praises of the Cowboys if they upset the Saints. To those of us who've followed this team through alternating wins and losses from week one to seven, an embarrassing home loss off the bye to Tennessee, and countless seasons where a .500 record was far from good enough, the gap between Dallas and New Orleans feels massive. The Cowboys have done everything possible leading up to this game to close such a gap, but have work left to do - very possibly in the form of more high-level changes - in becoming one of the league's best. No such team will come out of the NFC East this season, as the defending Super Bowl champions are fighting for their playoff lives, and the Redskins reduced to a backup quarterback. Very often, the best teams go through these aforementioned changes, as the Saints were 7-9 for three straight years from 2014-16 before an 11 win season last year and likely an even better output for 2018. AT&T Stadium would host a playoff game if the postseason began today, but the second place team in each NFC division has any many wins as Dallas. The Seahawks, stuck behind the juggernaut Rams, have a win over the Cowboys already while the Vikings are hunting the first place Bears as last year's NFC Championship Game loser. Missing the playoffs entirely at 9-7 last year, the Cowboys desperately want in any way they can make it, with four quarters to prove how worthy they are of a playoff spot coming on prime time in two days. Professional football is a hard sport to figure out. The Cowboys are certainly improving at doing so in the short-term, with the long-term outlook for this team requiring a much larger sample size than just Thursday's game or even the rest of 2018 as currently constructed. Tell us what you think about "Cowboys Front Office Proven Right So Far, Faces Reality Check Vs Saints" in the comments below. You can also email me at Sean.Martin@InsideTheStar.com, or Tweet to me at @SeanMartinNFL! Could Ezekiel Elliott’s Workload Hurt His Long-Term Value? Can Cowboys Pull Off Another Upset Against Saints Like in 2009?